A new stage production of oneof the UKs best loved movies, The Shawshank Redemption, is coming to Glasgow’s Theatre Royal this year! 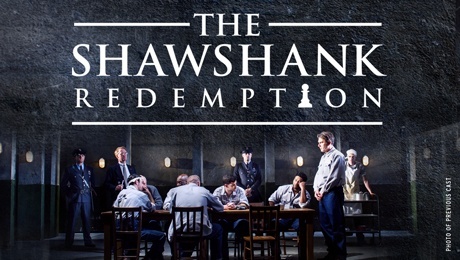 The Shawshank Redemption, a brand new stage production, is heading out on tour around the UK late this year and will play at Glasgow’s Theatre Royal from the 21st until the 26th November 2016. Fear will hold you prisoner, hope can see you free. Bill Kenwright presents a new stage production inspired by the classic film The Shawshank Redemption, based on the short novel by Stephen King.